I started pole fitness in 2013 and I love it. Unfortunately, pole dancing still has some social stigmas related to its unsavory history, but did you know that the use of a pole for exercise has been traced back at least eight hundred years to this Indian sport of mallakhamb? 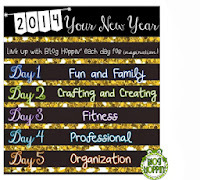 Thank you Blog Hoppin' for hosting this linky party! Now I better get started on some push ups.